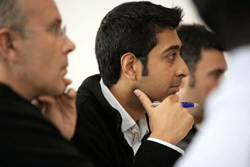 Why choose Henley for your Executive MBA? The Executive MBA at the triple accredited Henley Business School allows candidates to earn an executive degree in parallel with their professional career. Studying part-time at Henley - University of Reading requires enrolled candidates to attend on-campus lectures and activities only once a month for 3-4 days. During the taught seminars, they interact directly with the faculty, peers as well as with industry representatives, partners of the university. Ranked 50 in Executive Education in 2014 by the Financial Times, the Executive MBA program is focused on personal development and builds upon leadership and management skills through personal support and business coaching. The program is ideal for managers who aspire to senior roles and wish to maintain their career path whilst studying for an Executive MBA. 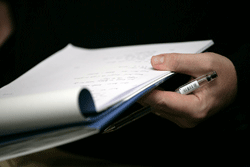 The Executive MBA has three stages that build towards the final degree. Together they cover business management from every practical and theoretical angle, giving you powerful tools and decision-making techniques for your career. For more information about Executive MBA (21 Months), please submit an information request below and the school will contact you with further information. The Henley Executive MBA program is suitable for experienced, practicing managers seeking an executive education degree that will strengthen their potential and prepare them senior management positions. The Henley Executive MBA is a part-time program suitable for working professionals that want to achieve an Executive MBA whilst they are still working. For more information on admissions, please send an enquiry here. Henley is one of the largest business schools in Europe and one of the very few business schools globally to hold triple accredited status (AMBA, EQUIS, AACSB). The Executive MBA is completed in three stages, which together cover business management from every practical and theoretical angle, giving you powerful tools and decision making techniques for your career. The Henley Executive MBA program emulates the work of a senior manager working within a team – your fellow participants – mature and experienced managers. Our leading faculty head up high performance learning groups, working on typically realistic issues facing today's organisations. Executive MBA learning is experientially based, real-world applicable and discussed, debated and tested in class. 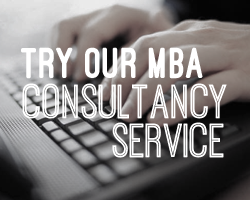 Our Executive MBA means you'll come away with experience that you can practically apply back in the business world. The Executive MBA year's intake is split into small teams to form learning groups and delivers practical assignments, projects and study work. The members forming each Executive MBA team are carefully selected and balanced. We coach you on teamwork management processes, influencing skills, project management, facilitation and conflict resolution. On top of the Executive MBA content, these are transferable skills that will become invaluable on your return to work. The costs of the Henley Executive MBA program is £34,000 per delegate. Including a non-refundable deposit of £1,300. Full payment schedules available on application - request information here to find out more. recommended to budget up to approximately £1,800. A variety of scholarships and funding options are available for the Henley MBA programs. Relevant details are announced throughout the year. Fill out your details to find out more about Executive MBA (21 Months). The Henley MBA is an excellent Hands On Programme throughout. An opportunity to apply what you study on the job and vice versa. Highly Recommended.